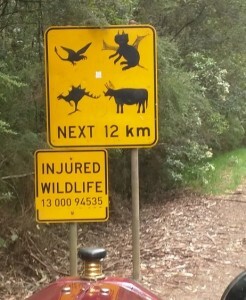 I’m afraid we didn’t see any of these animals at Cape Otway. 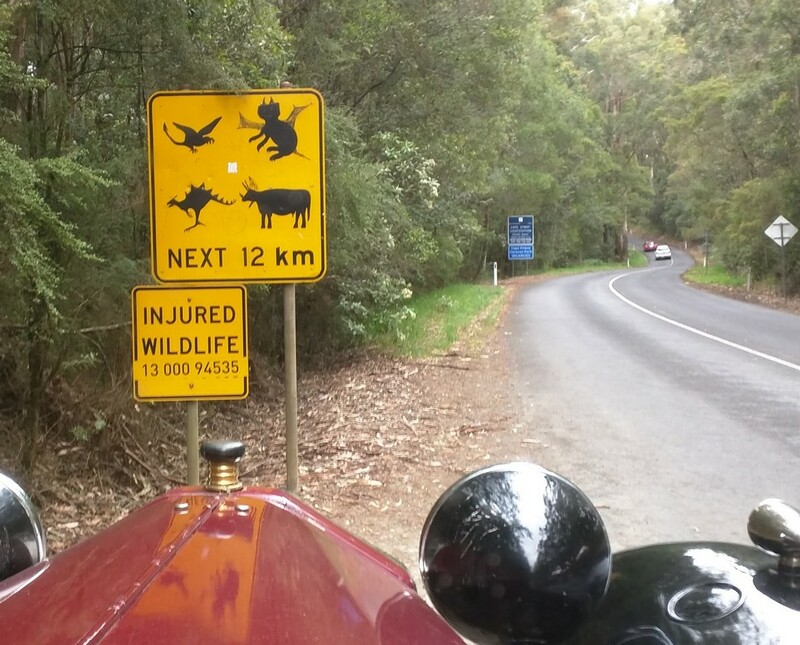 However there were plenty of koalas, so many in fact that they are endangering the trees they so enjoy eating. The weather was Victorian as in perfect one day awful the next, but as Billy Connolly says “there is no such thing as bad weather only inappropriate clothing” any Lambda owner should know that. Last series in the slideshow is at John Hickfords’ where we were supposed to help change the head gasket on the Lambda but ate pikelets and drank coffee instead. Late addition of 12 great photos from Noel Macwhirter.